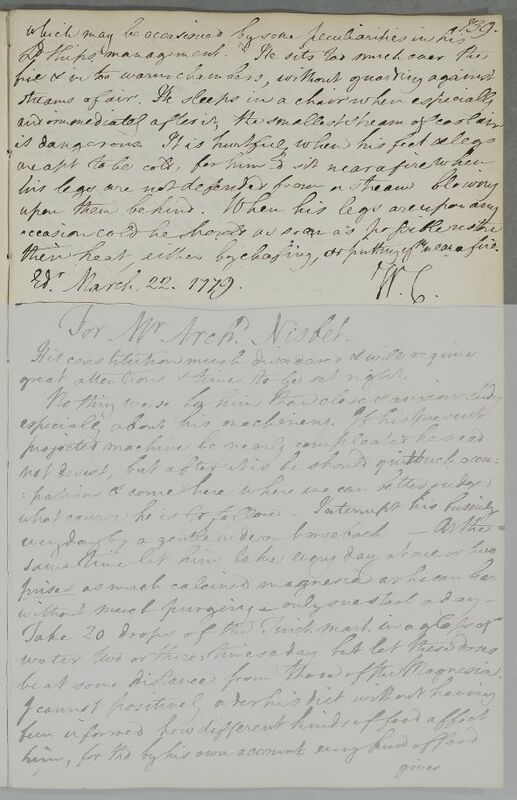 Reply headed 'For the Earl of Selkirk', suggesting that he take James's powder and keeps his feet and legs warm. Addressee unstated, but this is a formal regimen in summary. 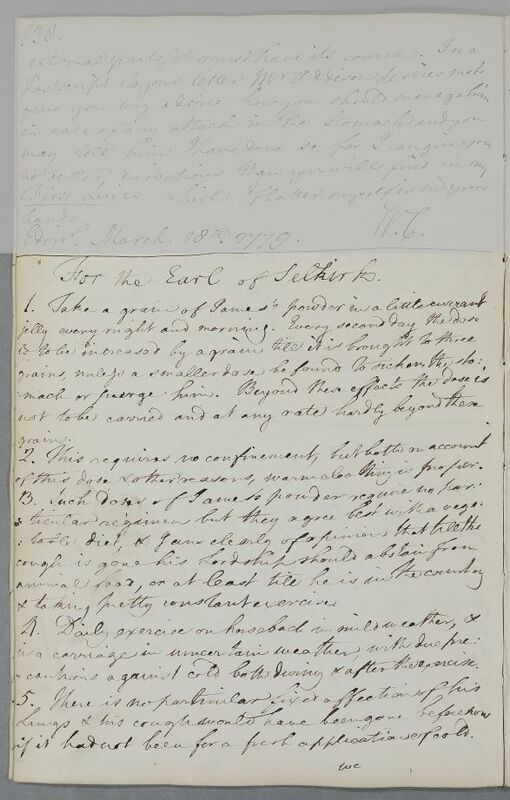 Summary Reply headed 'For the Earl of Selkirk', suggesting that he take James's powder and keeps his feet and legs warm. Addressee unstated, but this is a formal regimen in summary. Case of the Earl of Selkirk who has a cough. of this dose & other reasons, warm cloathing is proper. & taking pretty constant exercise. cautions against cold bath during & after the exercise. their heart, either by chafing, or putting them near a fire. their heart, either by chafing, or putting ym near a fire.